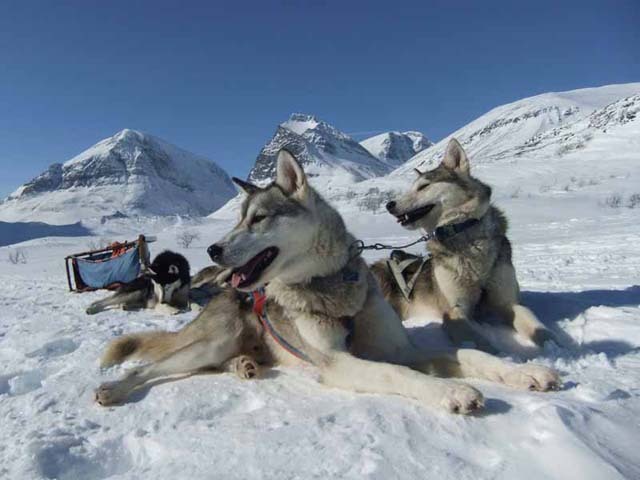 Dog sledding is a wonderful adventure and at Nature Travels we have a wide variety, from easier tours for the family to challenging adventures in the mountains. Each of our tours offer something different and it’s important that you choose the right tour for you! No previous sledding experience is required for any of our tours (though some tours require previous outdoor experience) and your guide will give you full instructions and training in how to control you sled. 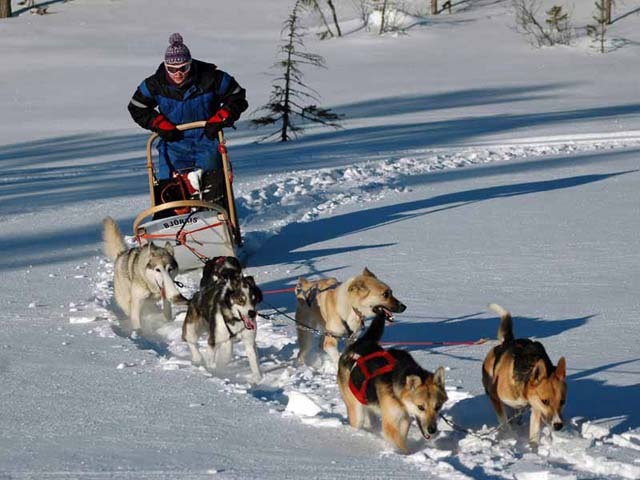 These tours are suitable for anyone in generally good physical condition as some strength and fitness is required when braking the sled or stepping off to assist the dogs uphill by jogging or “scooting” behind for short distances. However, the tours do vary considerably in terms of overall level of physical challenge, so it’s important to choose carefully and feel free to discuss any questions you may have with us. Most guests fall completely in love with their husky teams by the end of the trip. How could you not? Photo: Sarah Hook. A typical day involves starting by feeding and cleaning up after the dogs as your new furry friends always come first! Then after breakfast you’ll pack up, this time cleaning up after yourself and head out for your day’s adventure. Once you’ve reached your destination, the dogs get a snack after all their hard work and you start the chores around the night’s accommodation, maybe fetching water from the lake, feeding the dogs, chopping wood and assisting with cooking/washing up. 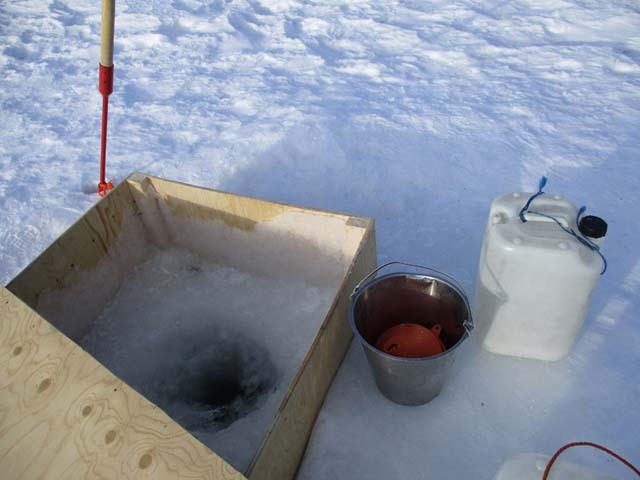 Fetching water from a hole in the ice is a central part of cabin life on many of our dogsled tours. Photo: Niki Nature Travels. Accommodation whilst out on tour varies but in general will be in simple wilderness cabins and some of our tours include a winter camping element. The wilderness cabins are simple and cosy, generally with no electricity or running water and shared sleeping rooms with bunk beds. 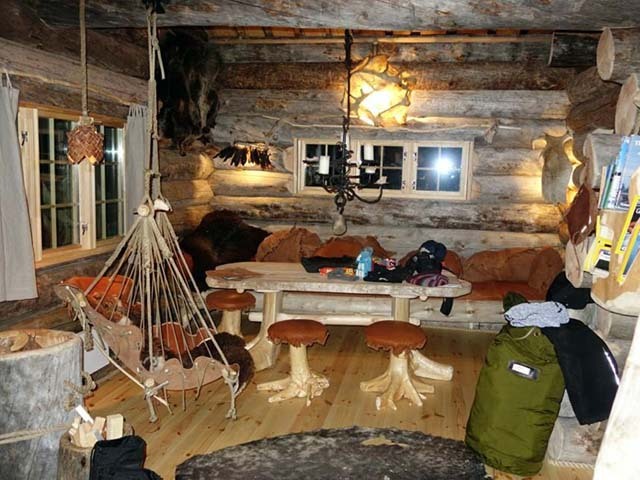 Cabin-to-cabin dogsled tours will typically feature overnight accommodation in simple but cosy wilderness cabins. Photo: Niki Nature Travels. Our special Private Dogsled Tour for Two in the Taiga Forest is ideal for couples or friends looking for a little bit of luxury. The 4-day tour includes two nights in a comfortable hotel and a night at your local hosts’ cabin at the kennels with your own private room. Usually, the tour starts by sharing the sled with your guide until you build your confidence and eventually start driving your own sled. There are also 4-day and 6-day tour options with all nights at the cosy cabin. 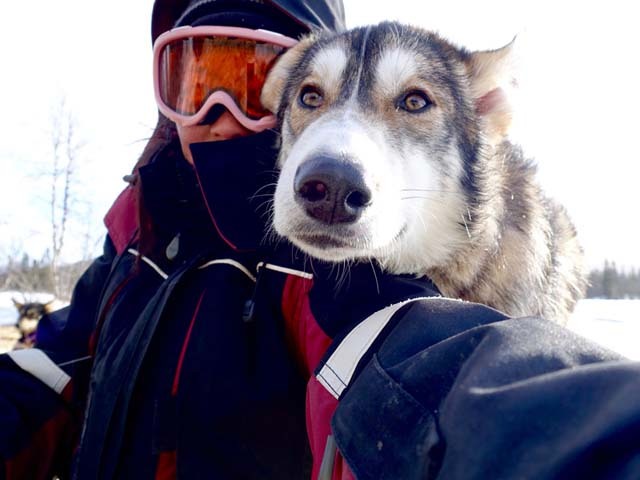 Private Dogsled Tours for Two in the Taiga Forest. Photo: George Baker. If you have been dog sledding before and are looking for another adventure, the Wilderness Dogsled Adventure in Vindelfjällen makes the ideal “next step” but is also an excellent choice for novice mushers looking for a challenge. A small personal tour with a maximum of 4 persons, this travels along some parts of the famous King’s Trail. Accommodation on this tour is a combination of wilderness cabins and camping in tents and/or snow bivouacs (snow holes). Wilderness Dogsled Adventure in Vindelfjällen. Photo: PK. Other tours that include camping are Midnight Sun Dog Sledding in Svalbard, exploring the untouched arctic wilderness of the island’s glaciers and fjords, and Dog Sledding and Winter Camping on the King’s Trail, which runs in the mountains of northern Sweden. Waking up to a winter wonderland after a night under canvas is a very special experience. Photo: John Wilton. 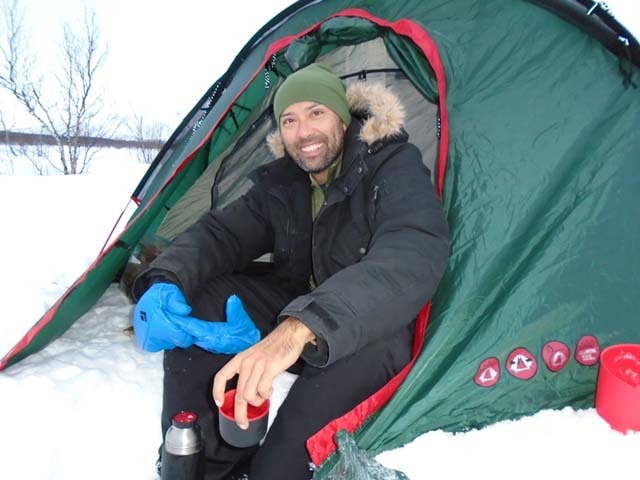 Winter camping adds an expedition feel to any adventure and can be physically challenging. As well as the general chores around camp, walls of snow will normally be dug around the tent as well as a hole in the snow for shelter while cooking and spending time in the camp. 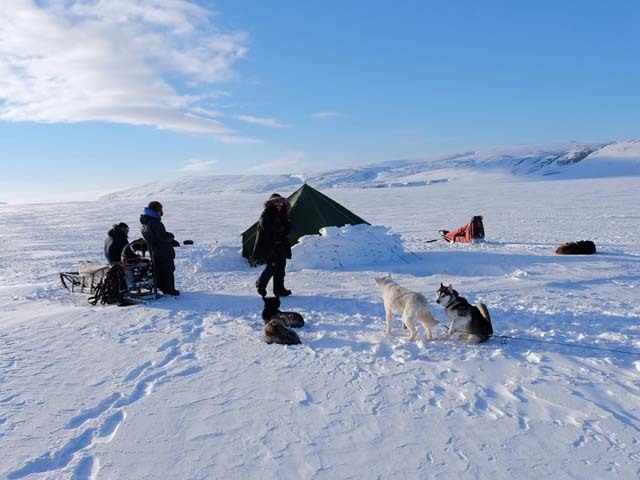 Winter camping adds an extra dimension to a dogsled tour, increasing the level of challenge. Photo: Keith Slater. Tours with cabin accommodation include the Husky Mountain Expedition in Lapland, which runs on a similar route to the above Winter Camping King’s Trail tour but is in wilderness cabin accommodation along the route. These tours run from end February, when the mountain conditions become suitable for exploring during the beautiful “spring winter”, when the days get longer and the temperatures become milder. 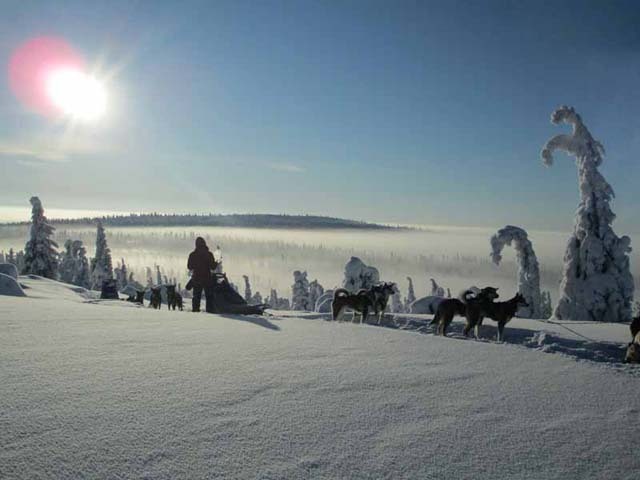 Husky Mountain Expedition in Lapland. Photo: Sofia Carter Nature Travels. 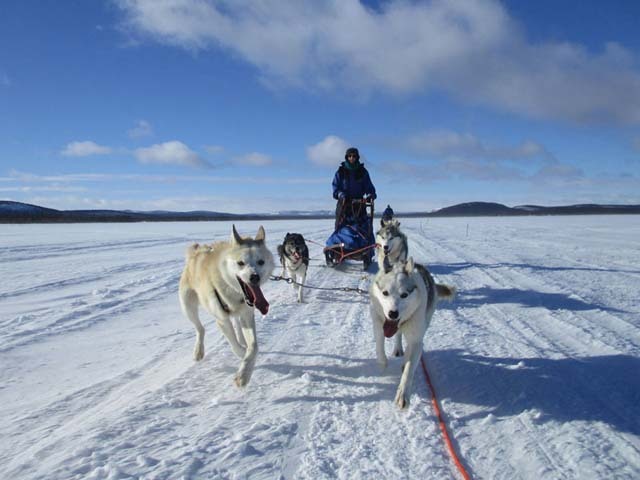 In the same area, Northern Lights Dog Sledding in Lapland runs in a lower elevation, winter wonderland landscape of frozen forest and lakes, and is a popular accessible adventure available throughout the winter season. Northern Lights Dog Sledding in Lapland. Photo: Niki Nature Travels. 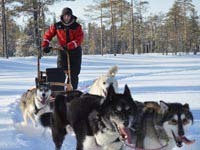 The shorter version of the Northern Lights tour is Discover Dog Sledding in Lapland. This 4 day/3 night experience (with arrival/departure day, 2 days’ sledding and a short sled in the morning of Day 4) is ideal for a wide range of participants including families with children from the age of 6. Children won’t normally be able to drive the sleds as you need a little weight behind you to be able to jump on the brake when going downhill but they may be able to have a go driving for certain parts of the route where depending on weather/trail conditions. While more challenging tours are suitable for adults only, some of our dogsled tours are also ideal for families. Photo: Lucy Fishburn. Dog Sledding and Northern Lights in Vindelfjällen is located in a little-visited area, further south in Europe’s largest Nature Reserve with beautiful landscapes of mountain plains and ancient forest. 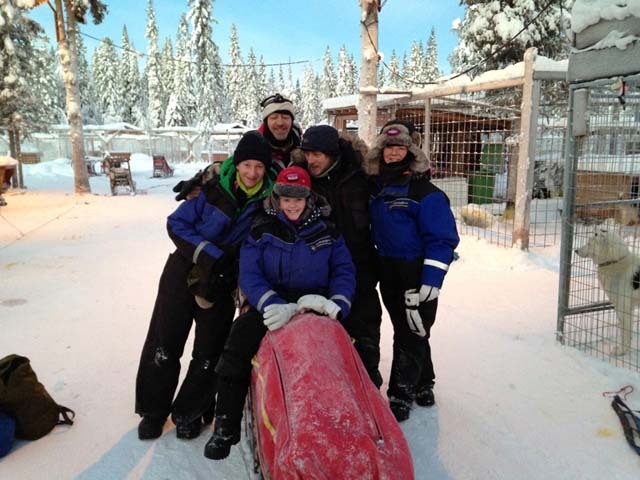 Our tours in Vindelfjällen have a maximum group number of 4 persons plus guide, ensuring a really personal experience in the deep Swedish wilderness and the head guide of these tours is a European Champion for sled-racing. Hugging the huskies is one of the best parts of any trip! Photo: Lydia Lam. The Aurora Husky Adventure in Finnmark, located in the far north of Norway, has 3 options for duration and type of tour, but the first and last nights of your tour are at very unique accommodation at the Husky Lodge in hand-crafted cabins built by the local host from natural materials. 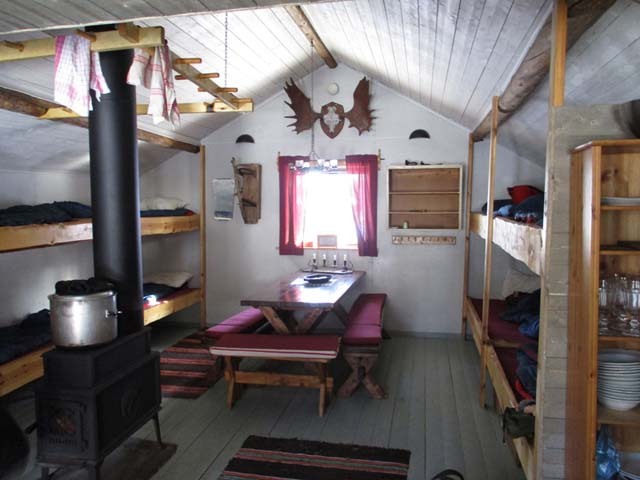 Aurora Husky Adventure in Finnmark features unique hand-built cabin accommodation at the kennels. Photo: Hariprasad Kuppuswarmy. 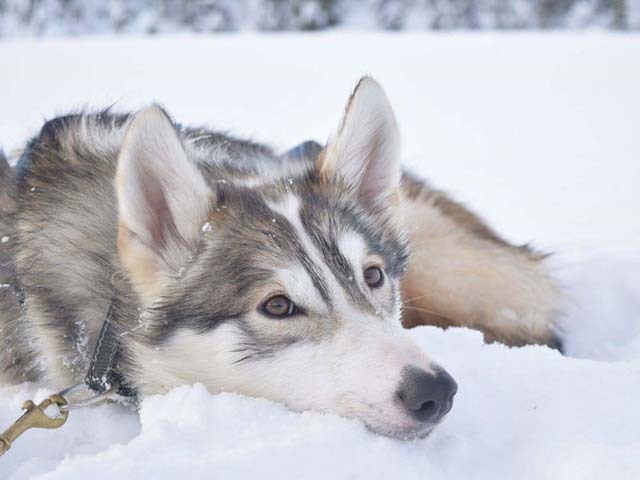 If short on time and from the UK, Go Dog Sledding in Trøndelag is an ideal option for a dog sledding getaway with reduced travel costs and time commitment compared to tours further north as it is easily accessed by the direct flights from the UK to Trondheim. Go Dog Sledding in Trondelag. Photo: NHA. 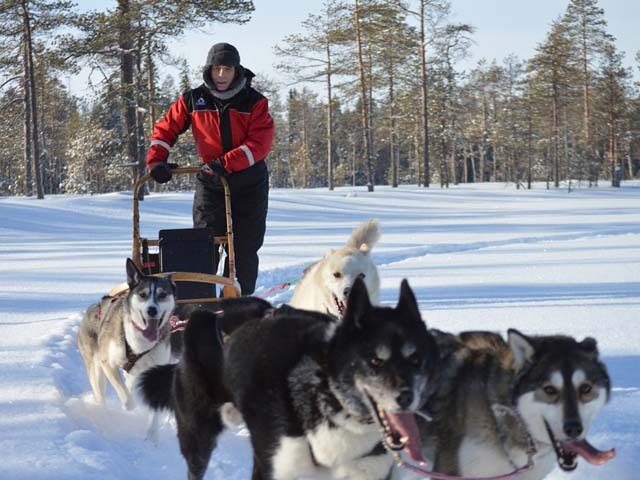 If you are doing other experiences in the Kiruna area and would like to add some extra days/activities to your stay but do not have the time to combine with one of our multi-day dogsled tours, our One-day and Overnight Husky Tours in Kiruna are ideal. ← What’s the Best Time to Go Dog Sledding in the Nordic Countries?